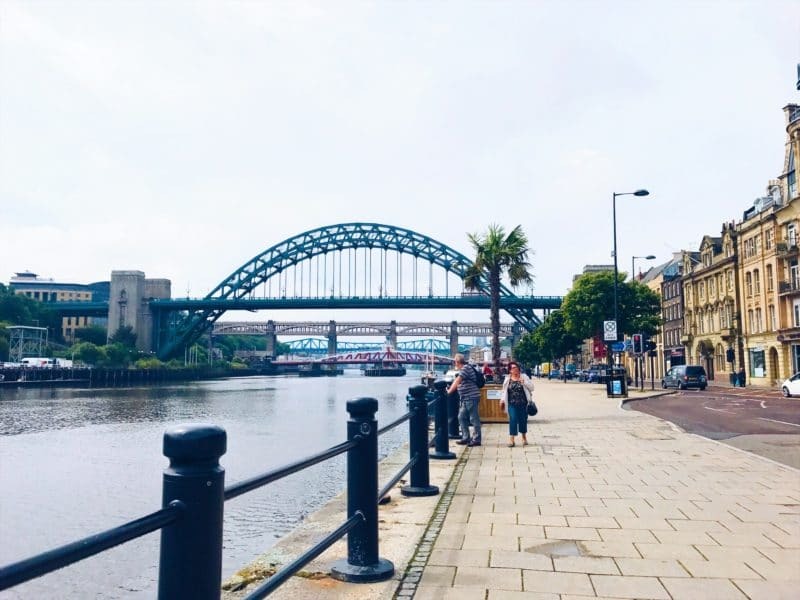 For ages I’ve dreamed of living up on Newcastle’s quayside, with a view of the bridges I’d never get tired of, some of the best local pubs a stone throw away, and with any number of restaurants and city centre perks at my fingertips. 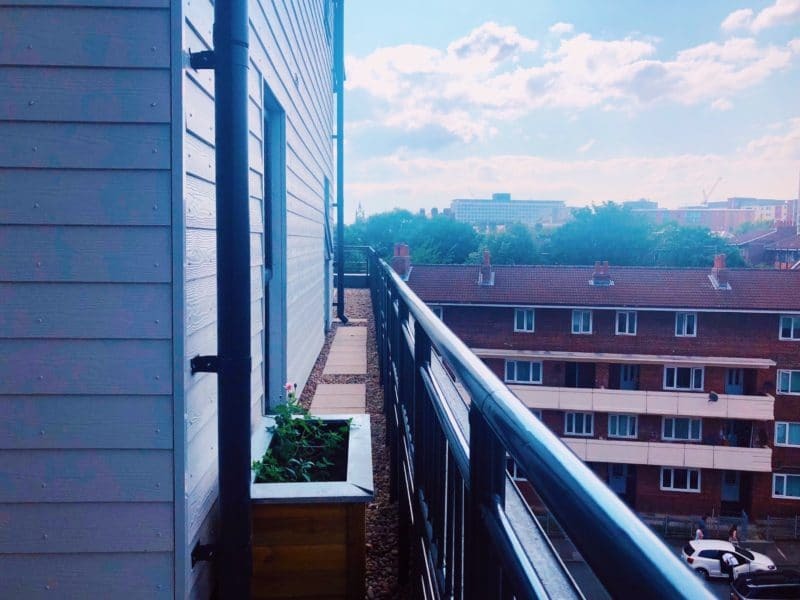 I was recently offered a stay in a Quayside apartment with Dream Apartments, the fully serviced apartment company that offer luxury apartments in multiple cities across the UK and Europe. They have two locations in Newcastle, and just over a week ago we stayed in a lovely two bedroom apartment at Aerial House on City Road. 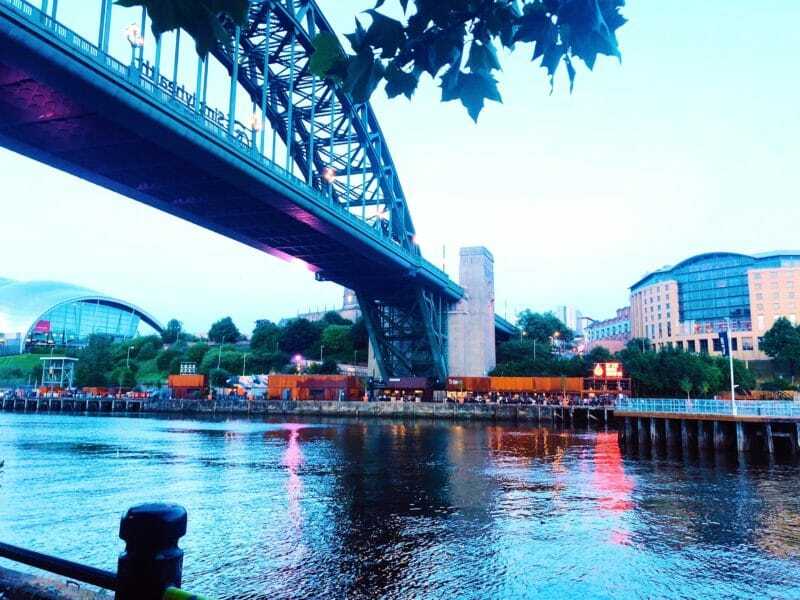 This quayside spot is one of my favourites in the city, and the reception staff didn’t fail to deliver a typical Geordie welcome (even though she was from Liverpool!). I was given the keys and went straight up to the fourth floor. 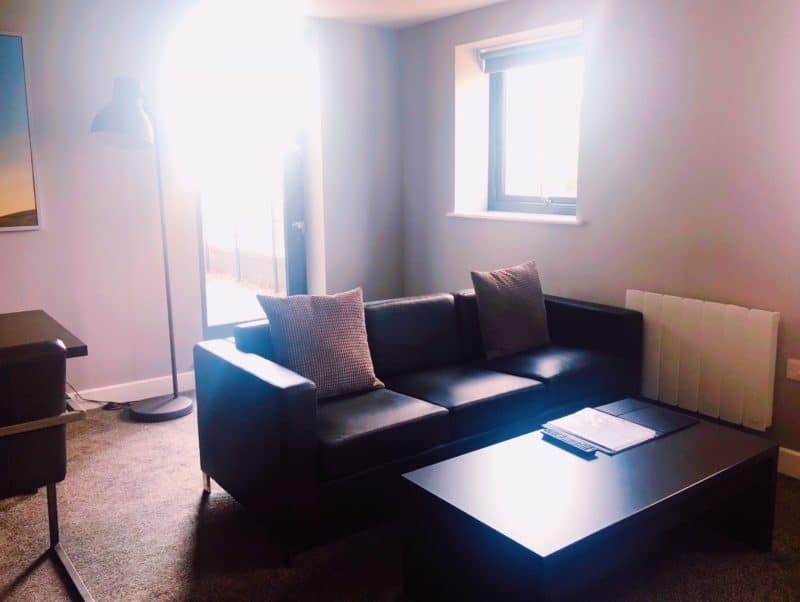 The apartment was gorgeous, and felt really homely with bouncy carpets, big double beds and a decent sized open plan kitchen, dining and living area. I’ve stayed in some city apartments for girls weekends away and some can be a bit tacky, or a bit superficially furnished but this definitely didn’t feel like that. The place was spotless, including both the en suite bathroom and the main bathroom which were fully stocked with toiletries and fluffy towels. There were two double bedrooms with plenty storage and mirrors (nothing worse than limited mirrors and plugs). It took all of two minutes to hoover up each of the little pillow chocolates left on each pillow too, my favourite welcome touch! 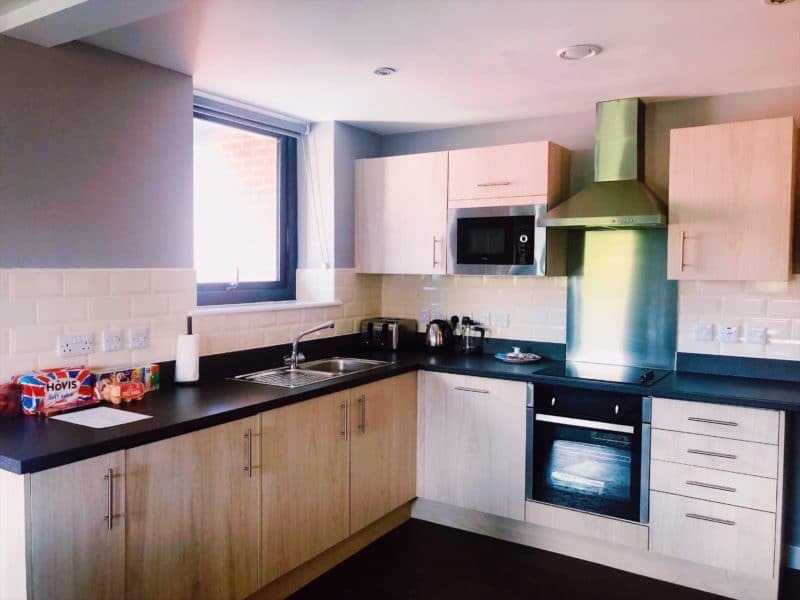 Into the main living area and the kitchen was fully equipped, including washer and dishwasher which would be perfect for business travellers through the week, and plenty glasses, plates and cutlery for groups staying on a city break that want a few pre drinks. 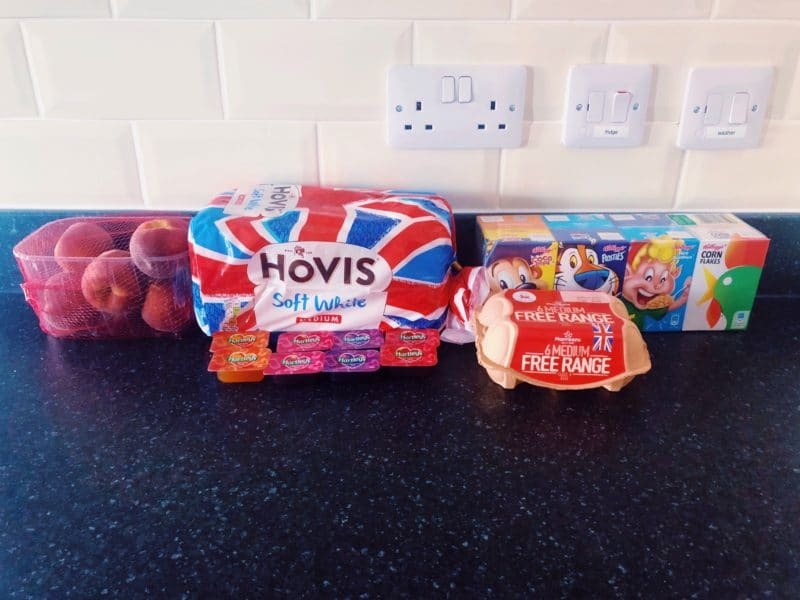 My favourite little extra which you can request at a fee of £15 is the delivered breakfast package, which means they stock you up with bread, milk, coffee, cereals, jam, butter and bottled water. Ideal if you don’t want the hassle of packing and taking this stuff with you, or can’t be bothered with going shopping when you just want to enjoy your apartment. Basically you can get all the perks of a home away from home without worrying about it yourself. Whenever I stay in my home city I love reading the guides and city information to see what visitors are recommended. 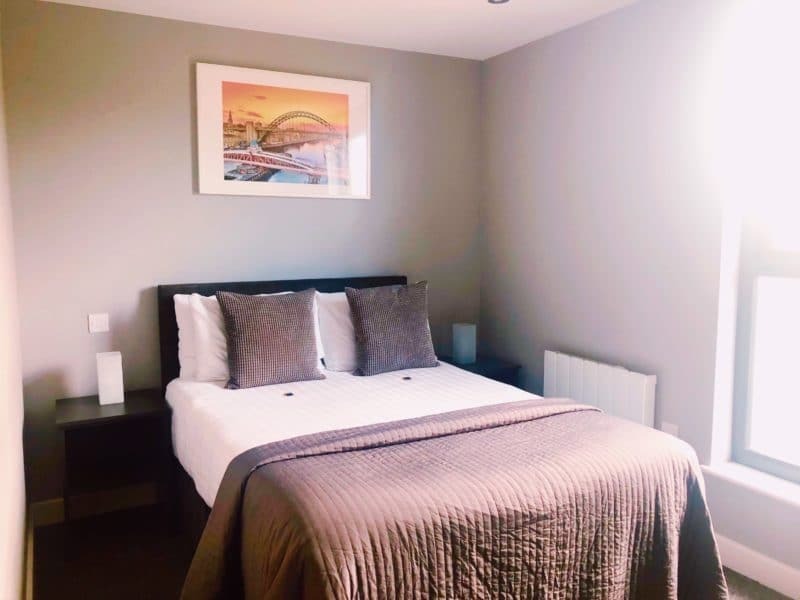 The apartment pack has you covered for everything, for all tastes, needs and suggestions for how to make the most of your stay on Newcastle’s quayside and the rest of the city. Our apartment also had a little terrace balcony overlooking the city, and in the glorious weather we’ve been having we enjoyed an after work gin and tonic on the balcony which was amazing. 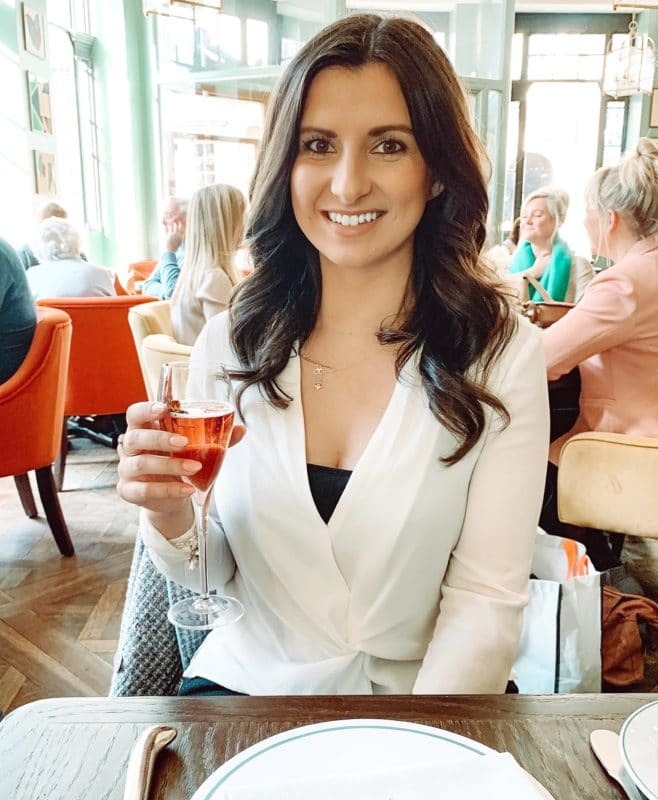 Despite having everything we would need to make a slap up meal and a cosy night in watching love island…we decided to make the most of being in Newcastle’s most coveted spot, and go out along the quayside. We wandered along the river in the sun, spoiled for choice of where to eat and have a few drinks. Having ate at both the Broad Chare and Cafe Vivo recently we went to Picolinos for Italian, followed by the most fun night in Tiger Hornsby and Popolos. There was a live singer in Tiger Hornsby who was so good, and we definitely stayed out much longer than we planned. 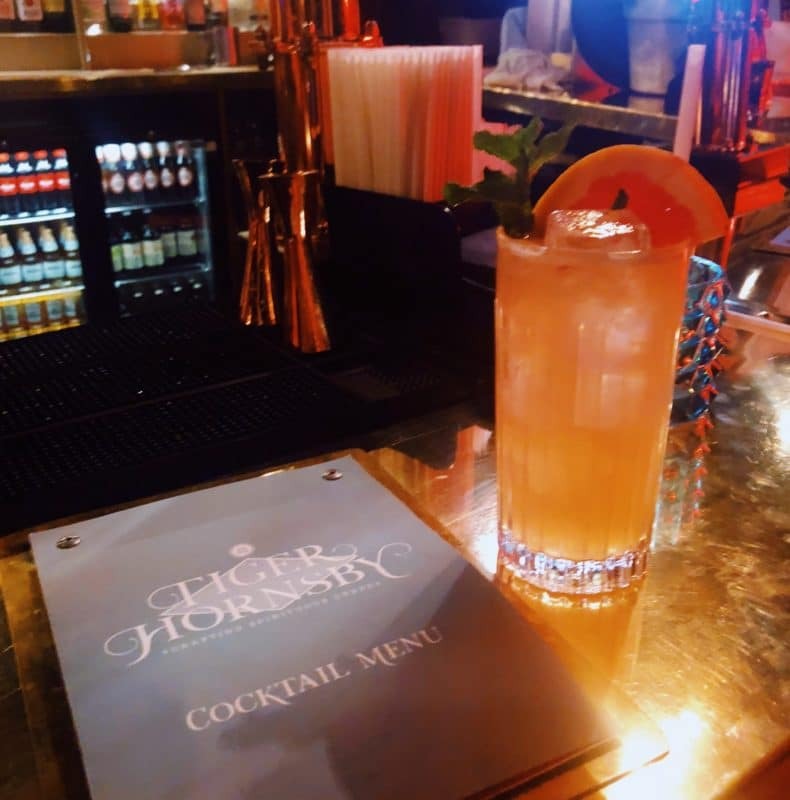 The most difficult decision you’ll have when staying on the Newcastle quayside is where to eat and drink, you’re so spoiled for choice even through the week. The best thing about our evening was how nice it was to be able to just walk back to the apartment in under ten minutes, no queues for taxis and no big taxi fares. Getting back to an apartment has a lot more perks than a hotel, you have so much more space, and you just feel like you’re going home. Our other absolute win of the evening, aside from the comfiest beds and incredible night sleep was being within deliveroo delivery radius! We obviously ordered pizza and had it delivered way quicker than if we were at home, and with a lot less sneaking about than in a hotel. The next morning we had been full of false ideas that we would go for an early morning walk or a run along the quayside but that definitely didn’t happen. 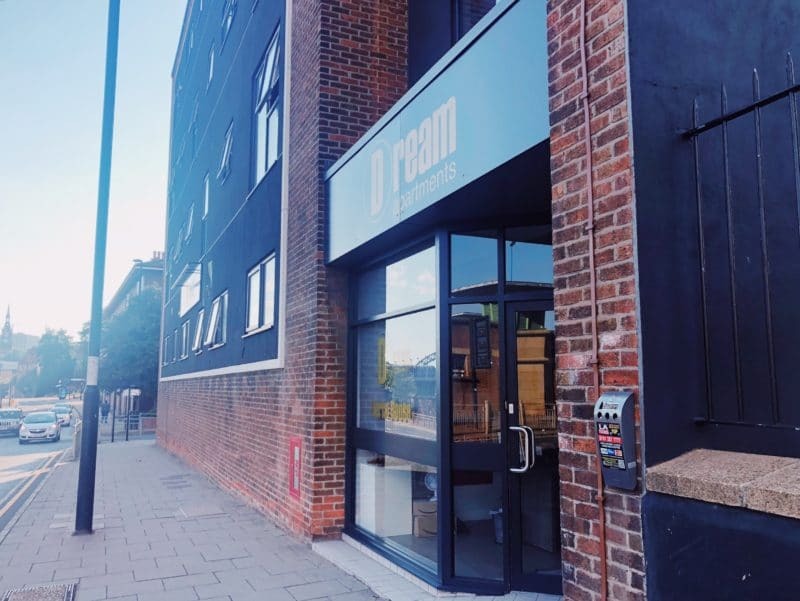 If you’re the type to exercise or run then the location of the dream apartments are spot on to do that, either to blow away the hangover cobwebs or to clear your head pre or post work if you’re a business traveller. There’s plenty space to work as well if you need to, and WiFi is complimentary. 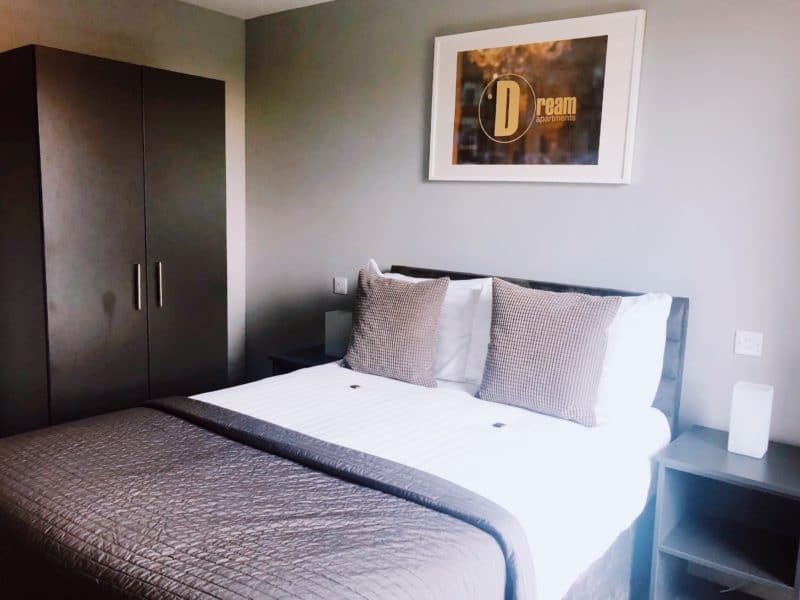 They would be perfect for groups of friends or couples visiting a city for a weekend with more flexibility and home comforts than a hotel, or business travellers needing a base for a few days. They’re also pretty handy for locals that might not live that close to the city centre. I’ve often stayed up in Newcastle either myself and Kieran, or with friends because its so much easier than messing about with taxis home, and it keeps everyone together. It’s worth it for occasions or one off events and you get to sample some city living. 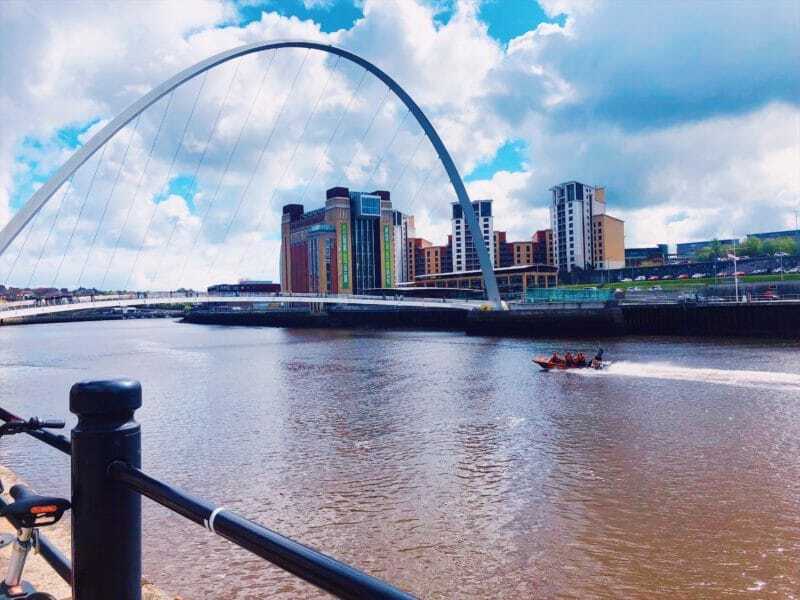 And finally, if you’re drawn to the incredible Newcastle quayside this summer is the perfect time to visit, with the Great North Exhibition taking place, including art trails, cultural exhibitions and other events all summer it really is a city full of life. There are so many bars and pubs with outdoor terraces to make the most of, and restaurant week coming up with some great deals. On a Sunday you’re literally a two minute walk from the amazing Quayside Market as well, where you can pick up some geordie souvenirs. Dream Apartments would be a great spot to base yourself to make the most of all that’s on offer. … I hope you got the Coco Pops out of that selection pack!